The independent music association IMPALA is asking the European Commission to intervene in a dispute over the terms over YouTube’s upcoming music streaming service. THE EUROPEAN COMMISSION (EC) has been asked to intervene in a dispute between YouTube and indie music labels over the terms of an upcoming music service. The music trade association IMPALA has asked European Union antitrust regulators to intervene, saying that some of the conditions demanded by YouTube are anti-competitive. It also mentioned that the terms break competition rules because they’re different from the terms that were reached with the major record labels. YouTube is insisting on extracting a package of rights that no other partner could get away with. The terms appear to seriously undervalue existing deals in the marketplace with other business partners. They also appear to include a highly controversial ‘least favoured nation’ clause, as well as provisions regarding delivery of content that restrict the freedom of labels and their artists to decide how to handle releases and marketing such as exclusives. This goes far beyond what would be agreed with any other service. If the company is found guilty, it could face a fine from the EC of up to 10% of its turnover worldwide. Since its advertising revenue were reported to be $5.6 billion, it could face a fine of up to $500m. Email “Indie music labels call in the big guns in their fight with YouTube”. 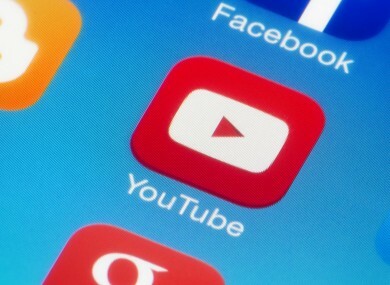 Feedback on “Indie music labels call in the big guns in their fight with YouTube”.